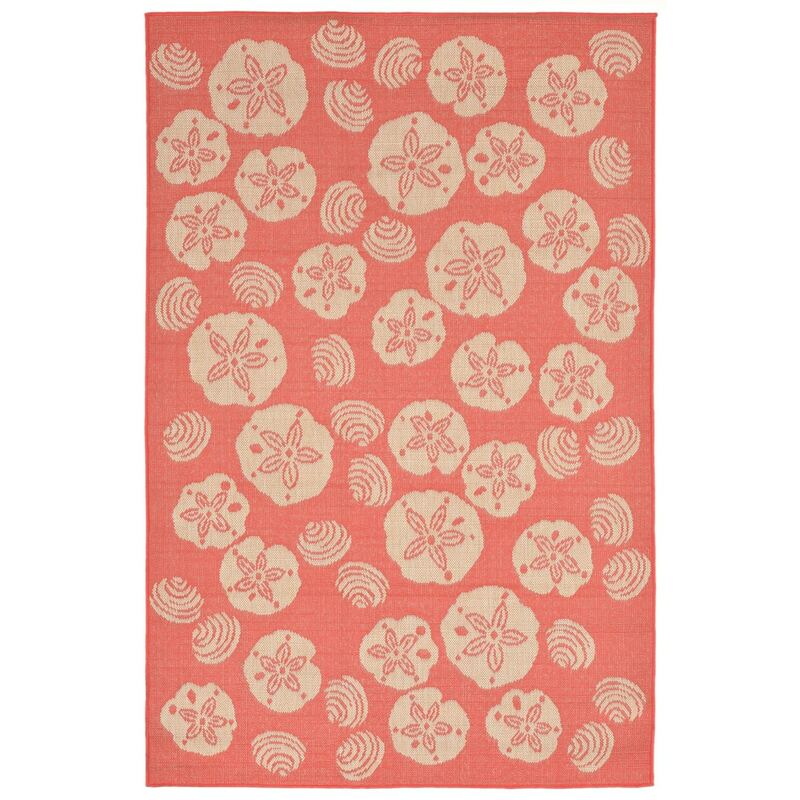 Maneck Terrace Collection 'Shell Toss' Indoor/Outdoor Rug Shell Toss - Coral / 7'10"X9'10"
Shell Toss - Coral / 7'10"X9'10"
Casual and Simple pattern combined with beautifully blended yarns in modern colors make this _x000D_ Machine Made rug rise above the rest. Wilton Woven in Turkey of 100% Polypropylene and UV stabilized for Indoor or Outdoor use. Polypropylene yarns are tightly constructed creating flat woven rugs that are natural looking yet easy to care for and can be used for both the indoors and outdoors.